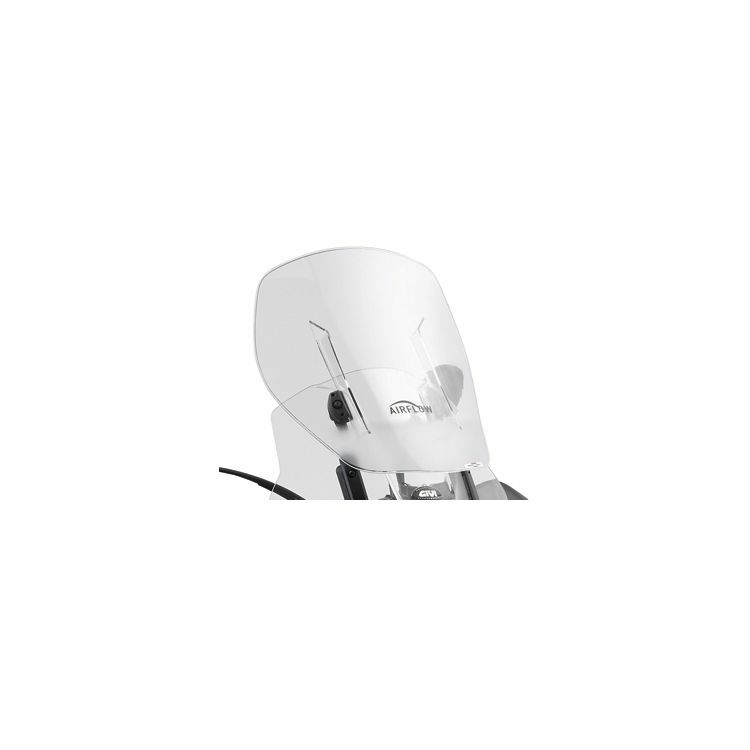 Replacement Airflow Sliding Spoiler for Givi Airflow Windscreens. 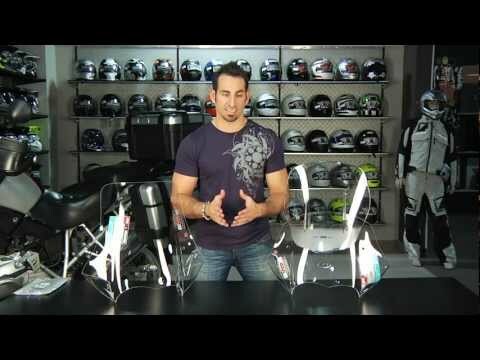 I want to warn everyone who owns one of these Givi Airflow windscreens about the potential for the adjustable top half to come off at speed. I've owned this screen since I bought my 2013 Triumph Tiger Explorer in May of 2014, so nearly three years. Until last July, it worked great...a little buffeting, but WAY better than OEM. Last summer, I was on my way to western Colorado. My route took me through far west Texas and Carlsbad, NM. South of Carlsbad, I encountered high winds that were coming at an angle from front and right. At some point, a serious gust of wind hit me, causing my top windscreen to come flying off. I was able to recover it in one piece and had no further incident on the trip. Another time, my wife and I were returning from a day trip and were traveling the interstate at about 70 - 75 mph, when the screen came off. This time I wasn't so lucky, it got crushed by passing cars. I purchased a new screen and off course made sure the fittings were tight. I even sanded the pressure clamps to make certain they were getting a good grip. A couple of weeks ago, I was riding not too far from home on a country road and passed some slow moving cars. Before getting all the way around the traffic, the top screen came off and hit me between the eyes. It hit my glasses so hard that they cut my nose to the bone. I had blood all over my glasses, making it hard to see. Fortunately, I was able to keep my composure, slow down carefully and get off to the shoulder so as not to get run over by the vehicles I had just passed. I recovered the windscreen about a half mile back. I still have the windscreen, but I've added a tether so it can no longer come off. I highly recommend you do the same. Note: I have always kept a check on the fittings to make sure they were tight. Each time the screen came off, the fittings were tight. I wanted to add a photo of the tether, but I guess I can't do that. It's very simple: Get some fine wire cable (Home Depot carries it) a couple of nuts, bolts and washers. Drill a hole at the center, in both top and bottom sections and attach the cable. I made my cable so the top screen can adjust upward about an inch or so, but can't come off. Good luck and watch out for flying objects! Ha! I am using the Givi windscreen in a custom application on a Triumph Tiger 955i. It will be mounted to an MRA wndscreen and hope it will reduce wind noise and buffeting. The Givi windscreen is very clear but has slight distortion at the bends. It would have been nice if Revzilla also offered the latch system for the screen. Had to go to another vendor for those.